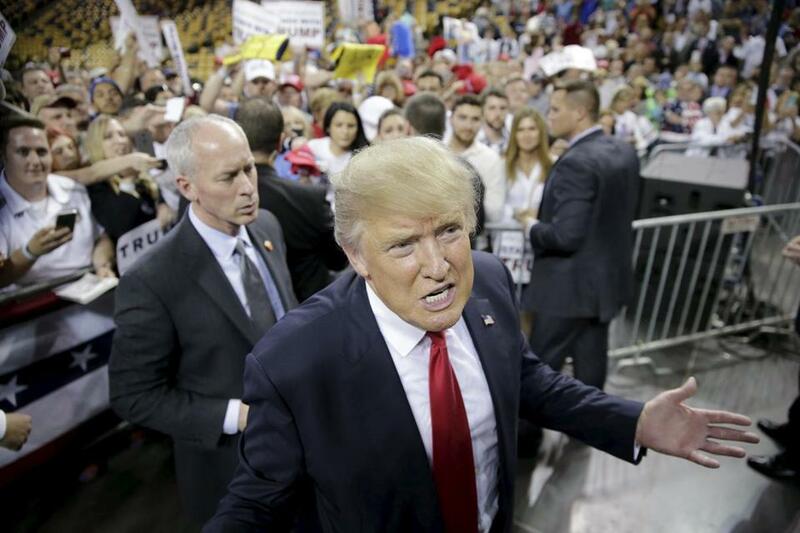 Donald Trump’s brash campaign has stunned GOP operatives. “It destroys the Republican Party brand,” said Katie Packer. The common denominator is the billionaire mogul. For the master of the sell, the allure of each product is the man himself. But now that Trump has embarked on the biggest sales job of his life with a run for president, he is deploying his personality-driven branding tactics to reshape the GOP. The party of Lincoln, the party of Reagan, is morphing into the party of Trump, with all of its connotations of wealth and power, swagger and bullying, divisiveness, bluntness, and, for many, an undeniable appeal. Trump’s party takeover has spurred some longtime Republican leaders to mount a last-ditch effort to stop him. They don’t just fear that a Trump nomination would produce losses for the party in 2016, but that he will leave an indelible negative imprint on the Republican Party well into the future. Trump is leading a movement that traditional conservatives don’t even recognize. Largely because of his presence, the party’s prime-time debates have become anarchic free-for-alls, replete with vulgar references but almost devoid of serious policy discussion about deficits, defense, and smaller government. 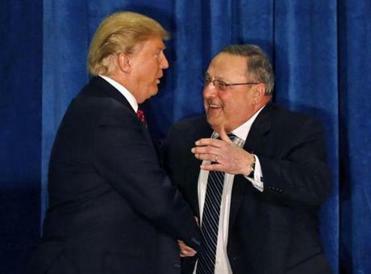 More caucuses and primaries are today, including in Maine for the GOP, where Donald Trump is seeking the same voters who support Governor Paul LePage. “It destroys the Republican Party brand. Without a doubt,” said Katie Packer, a Republican operative leading an anti-Trump group. A growing body of mainstream Republicans, fearing the party’s future is at risk, are plotting ways to deny Trump the nomination at the party convention in July in Cleveland. Some are openly discussing leaving the GOP to start a new party. Many of them fear that beneath the branding and artful targeting of Americans’ anxieties, Trump’s campaign is unconnected to traditional Republican values. David Merritt, the managing director for Luntz Global, a polling firm that has conducted focus groups and polling on Trump, says that there’s a distinction between Trump’s business brand and the imprimatur he seeks to leave on the party. He’s not sure that there’s a cohesive Trump philosophy outside of giving voice to the anger and frustration toward Washington that’s been roiling politics since at least 2010. “He is looking at a marketplace and he is filling a consumer need,” Merritt said. If the party were to disintegrate, the Chamber of Commerce Republicans who want minimal regulation and immigration reform could go one direction, while the religious wing that focuses on abortion and sexuality would go another. “If the party broke apart — there would still be a Republican Party, but there would be a splinter movement,” said Ben Ginsberg, a Republican lawyer who has served as the counsel to the Republican National Committee and several presidential campaigns. “It would largely be a presidential party. Over time that entity would either grow roots and flourish, or not,” he said. Ginsberg pointed out that the GOP brand remains strong in the states — two-thirds of state legislative chambers are dominated by Republicans and 31 states have GOP governors. The benefit of Trump, he said, is that his candidacy is energizing voters and fueling record turnout in primaries. The party will welcome the new voters attracted to Trump’s message of sweeping the insiders out of Washington. But, he said Trump’s unsavory rhetoric — including his failure to consistently repudiate white supremacists, his misogynist comments, and his offensive generalizations about Hispanics — could also be attracting people the party doesn’t want. “If he can galvanize his base by staking out more substantive policy positions, he is not gong to splinter the party. The way that this turns out lies with him,” Ginsberg said. Over the past week there has been a growing chorus of Republicans who say they would never support Trump, even if he is their nominee. When former Massachusetts governor Mitt Romney delivered his searing remarks opposing Trump last week, he declared that he’d never support the GOP front-runner and urged voters in upcoming primaries to support whichever of the Republican contenders seems most likely to beat Trump. That multiple-choice approach was widely viewed as an attempt to deny Trump the delegates he needs to clinch the nomination, and perhaps force a contested convention where another candidate could be put forward for the Republican nomination. Such a path could, however, be treacherous for the party. Modern nominating conventions are supposed to be the moment when the major parties explain to the public what they stand for. Do party elders really want a week’s worth of convention coverage about stifling the fervent grass-roots cohort that is fueling Trump? A Trump-branded party also could accelerate changes in the electoral map. While he may force Democrats to defend working-class states like Pennsylvania and Michigan, Republicans fear they would struggle in states with fast-growing Hispanic populations like North Carolina and Georgia. After devastating losses in 2008 and 2012, the Republican party engaged in deep soul-searching — tasking six top operatives to meet with roughly 2,600 people inside and outside of Washington to develop a road map to a more inclusive party capable of winning a general election. The recommendation: Appeal more to female, black, and Hispanic voters. “Essentially the Republican party is already fairly close to the statistical maximum of white guys,” said Rick Wilson, a Florida-based Republican consultant who is working with a super PAC supporting Marco Rubio. But Trump might also bring his own brand of political mathematics. He appeals to Democrats, said Merritt, who has conducted a series of focus groups and polls on Trump. He finds that 15 percent to 20 percent of Democrats will support Trump — a phenomenon that doesn’t hold true for Cruz or Rubio. As conservatives roamed the hallways at the Conservative Political Action Conference on Friday afternoon, some of the staunchest Republicans in the country said they were baffled by his rise, by his ideology, and by his freewheeling tendency to disavow old positions and adopt new ones. Still, many of those interviewed said they would support him as their nominee. And there was a sense that Trump has already made an enduring mark, not only on the Republican party but also on what voters want from politicians. “He’s changing the party now to be something of what it used to be — a little bit more real, a little bit more tangible, a little bit more contextual — and that change is going to be permanent,” said Hampton Dowling, 57, a consultant from Loudoun County, Va., who has always voted Republican and supports Trump. Globe correspondent Sophia Bollag contributed to this report. Matt Viser can be reached at matt.viser@globe.com. Follow him on Twitter @mviser. Annie Linskey can be reached at annie.linskey@globe.com. Follow her on Twitter @annielinskey. Tracy Jan can be reached at tracy.jan@globe.com. Follow her on Twitter @TracyJan.